Once there was a reading of a text that I wrote together with Michel Decar. A piece that tells of 21 adolescents in their summer holiday the year before last. There is a lot of to-ing and fro-ing, and scenes are strung together. The text was spoken by 14 actors and actresses sitting in front of the audience. There is one scene when a young woman realizes that her love will always remain unrequited. That makes her so angry and sad that she destroys an important clock. When that happened, you heard a sob and an ohhh go through the audience. That made me terribly happy. Because the viewers were moved. And that is what I want most from theatre (also in relation to other text forms): emotions. Of course, that is really very complex, but then again it isn’t. Laughter, amazement, embarrassment, sympathy, anger, envy and admiration. Being able to live these out vicariously. I like that. And the key to that is the situation, the constantly re-resolved and reshaped now. Jakob Nolte was born in 1988 in Barsinghausen am Deister. 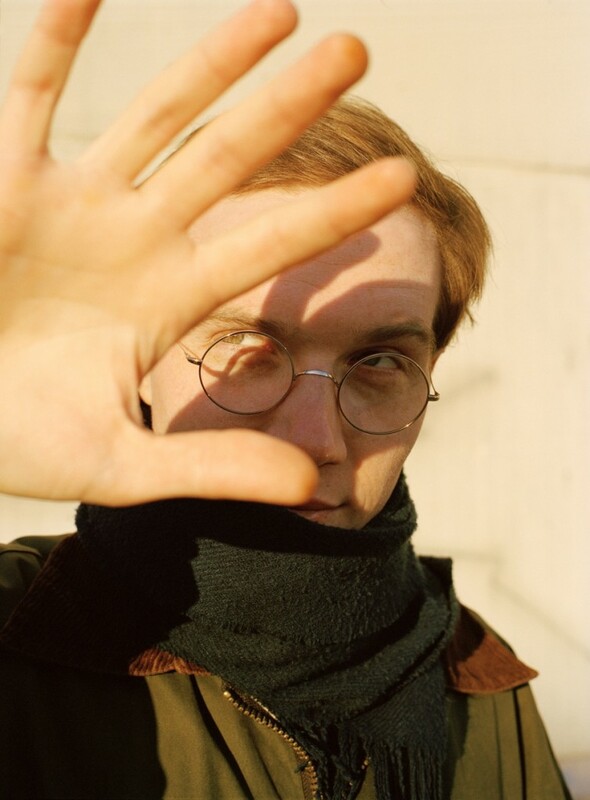 After completing high school, he moved to Berlin to volunteer for a year of community service, and later worked as assistant to the director and dramaturg at Schauspielhaus Hanover and at DT Berlin before embarking on a course of dramatic writing at the UdK Berlin in 2010. While still a student, his first dramatic texts were premiered at Landtheater Salzburg, and he appeared with Michel Decar at the Heidelberg Theatertreffen, the DT’s Autorentheatertage and the Werkstadttagen at the Vienna Burgtheater. For their second play, “Das Tierreich”, which has been staged at over 30 theatres in German-speaking countries, they were awarded the Brüder Grimm Prize of the state of Berlin. In 2016 Jakob Nolte was invited to present his play “Gespräch wegen der Kürbisse” at the Authorentheatertagen, and it received its Austrian premiere at the Vienna Schauspielhaus in autumn 2017, directed by Marco Storman. He also worked with Marco Storman on the musical drama “No Future Forever” at Theater Luzern, with a cast of 20 young people and a 40-person orchestra. His first novel “ALFF” was published initially on the online platform Fiktion in German and English and later in hardback by Matthes & Seitz Berlin, and won the Kunstpreis Literatur in 2016. His second novel “Schreckliche Gewalten” (also published by Matthes & Seitz Berlin) was longlisted for the German Book Prize 2017. In spring he received a scholarship to the Villa Kamagowa in Kyoto, along with Leif Randt, to work on their joint website, tegelmedia.net, an online label for texts blending literature and journalism, with the aim of creating narrative forms of content for the screen. Jakob Nolte also writes about films for the Freitext column of the digital newspaper Zeit Online. He is currently working on his first radio play for BR, which he is directing. He lives and works in Berlin. People in a café, having everyday conversations: about holiday, memories, relationships, capital crimes, space guns, and the Mossad. And, of course, pumpkins! Jakob Nolte, one of contemporary literature’s oddest humourists, seizes on all that to create a sharp comedy in which fake news spreads to the private realm. The set-up is simple: Two old girlfriends meet for a coffee and a chat. They haven’t seen each other for a while but soon fall into their familiar roles. With long-practised precision, they goad and provoke each other, shooting verbal arrows across the table and under the surface of friendly conversation. Gradually, a war of words develops, verging on insanity, in which reality and fiction, lies and truth are barely distinguishable. They say it is a never-land, full of young people from the town and the country, who conduct their own rituals, have their own language, celebrate their own festivals, and write history as well as stories. Not only their own stories but also those of a country that can’t be found on any map of this world; a realm of the imagination. They say the walls of the Lucerne Theatre are the boundaries of a parallel universe. But not even its own staff members can swear it is true. Because the flags are only flown at night. And the escape rehearsed.